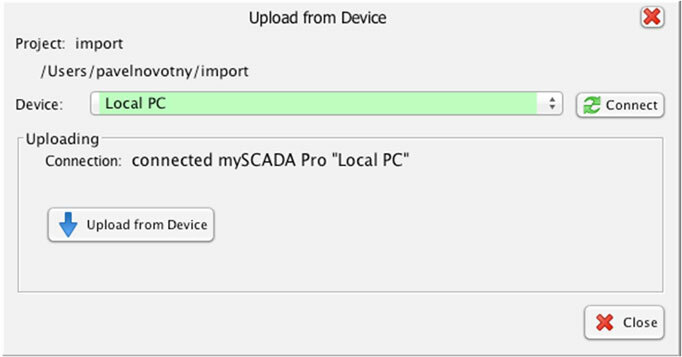 You can also upload a mySCADA project from your device to myDESIGNER. The warning dialog notifying you of possible project data loss will appear. Warning: All data saved in the project folder will be lost! 4. After successful project uploading, the confirmation dialog will be shown.